Fears are growing over the financial viability of the Harrogate Convention Centre. A councillor has branded Harrogate Convention Centre’s continual financial underperformance as a “major concern” as Harrogate Borough Council faces a projected £373k overspend on general funds. The comments from Coun Victoria Oldham were made amid an overview and scrutiny commission meeting on Tuesday, where councillors were provided with an update on the council’s position for the financial year. Chief among the culprits of the £373k overspend were financial underperformance at the Harrogate Convention Centre and the Turkish Baths, as well as a shortfall in car parking income. The latest forecast is an increase on the overspend of £137k from the quarter one report in July. At this time last year there was a projected underspend of £1.071m. Coun Oldham, a Conservative representative for the ward of Washburn, said she had “major concerns” about the continued performance of the convention centre, which is forecasting an underperformance of £463k for the year, stemming from a significant underperformance in lettings income. Additional information on the latest forecast was contained in exempt reports, which are kept from public eyes due to commercial sensitivities. “I feel like maybe the whole structure needs looking at,” Coun Oldham said, adding that the facility required priority because it was of “such enormity”. “If it was in my portfolio I would not be happy,” she said. Committee chairman Coun Philip Broadbank agreed that the centre’s performance was a concern. “We were promised in 2009 when the recession hit that we’d be back in profit in 2015-2016,” he said. 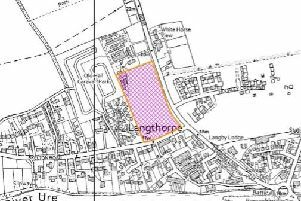 Coun Nick Brown (Conservative, Bishop Monkton and Newby) suggested during the meeting whether it was worth exploring the possibility of the centre being floated as a commercial company, an option that was first explored by council several years ago. Coun Brown reasoned that making the centre a company limited by guarantee could free it from of the “constraints of the general rules that govern HBC” to help make it more competitive with other commercial convention centres around the country. “My first impression is that it seemed like a good idea a few years back…I still think it’s the way forward,” he said following the meeting. Despite failing to hit forecast budget, Coun Brown emphasised that the centre played a hugely important economic role for Harrogate. “We all want the Harrogate Convention Centre to do exceptionally well, and I’m sure it will continue to do so,” he said. The centre’s financial position was also front and centre of a corporate performance report tabled at the same scrutiny and overview meeting. The report reiterated that the centre’s lettings income was a key area being targeted for improvements, with the revenue stream “significantly under target… impacting on potential additional income and the economic impact that HCC brings to the district”. “Promoting the centre as widely as possible to attract new events to the district remains a ‘main area of concern’ for council,” the report states in measures taken to improve the centre’s performance. An outline business case for the redevelopment of the Harrogate Convention Centre was completed last year analysing how the centre could be re-developed in the future to provide a modern, fit for purpose facility. The council also last month approved a trial of pay bonuses for convention centre staff in an effort to further boost employees’ selling and booking performance. The job of convention centre director is currently being advertised with a salary of £99,711 per annum, with outgoing director Simon Kent due to vacate the role in September 2019. Alongside the convention centre, councillors heard that the Turkish baths and a drop in car parking were also contributing to the forecast overspend. The baths forecast income shortfall of £295k could be attributed to the extended closure of the facility for 10 weeks for refurbishment, exceeding the budgeted four weeks, combined with a “significant” underperformance in massage and beauty income due to the continuing failure to recruit therapists. Council officers added that the centre only opened at the end of August following 10 weeks of closure, meaning the benefits of the closure were yet to be seen. While current attendance numbers are higher than forecast, the lack of therapists servicing the baths was still preventing the facility from hitting its projected income. Income from car parking – primarily Harrogate town centre’s multi-story parks – also faced a significant drop, with a projected shortfall of £282k, an increase of £115 from the quarter one report tabled in July. Council officers said that the underperformance of car parks could be attributed to adverse weather and what shops in town were attracting visitors to the town centre. Officers mentioned the start of the AppyParking trial, which will allow drivers to find vacant parking places via their smart phone and only charges them for the minutes they park, would help the situation.